The promise of heavenly love and hope is a simple comfort to the faithful and this gorgeous funeral spray is a tender reminder of His word. Yellow roses adorn a simple white cross of daisies and carnations. 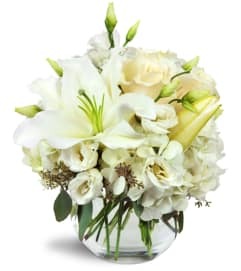 Perfect for honoring a life of faith at a wake or church service. 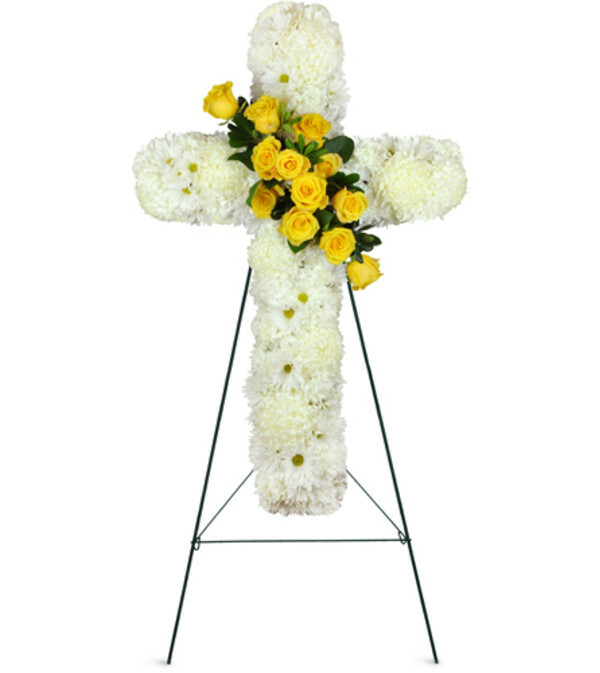 A beautiful white cross made of daisies and carnation blooms is embellished simply with golden yellow roses in this classically elegant funeral spray. The arrangement was beautiful and very much appreciated. The person that answered the phone was very professional and kind. My order was last minute but they were very accommodating and saved the day for me. Thank you. My friend was very happy with her flowers, she took a picture and posted it on Instagram, they did look lovely!! Beautiful flowers. The order and delivery went smoothly. Great experience! Thanks. 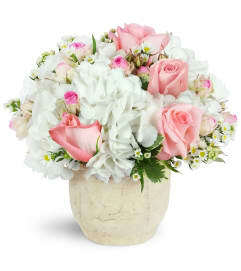 Hours of Flowers is a Lovingly Florist in Manalapan. Buying local matters. Discover how Lovingly supports local florists. Copyrighted images herein are used with permission by Hours of Flowers.